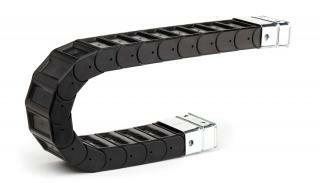 Calculating the bend radius of a cable drag chain. 1. 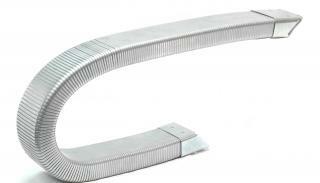 The bend radius of the cable / hose in the chain. Most cables or hoses should come with information from the manufacturer that specifies what the bend radius of the cable or hose is. If you don’t have this information then a good rule of thumb is to take the outer diameter of the cable or hose and multiply it by ten. This will usually give you a reliable figure to work with. Remember, if you have multiple cables you only need to know the largest bend radius of the cable you are dealing with. This is the critical dimension. 2. The space you have for the chain. If you are trying to fit your chain in to a confined area you will need to make sure that the bend radius allows the chain to fit in.